It was a privilege to meet in Salt Lake City last week and learn from Marshall Goldsmith, one of the world’s best leadership coaches, and author of “What Got You Here Won’t Get You There”. He says transformation is about the leader being coached, rather than the coach. As one of Marshall’s Lead60 Coaches, I’m pleased to make his article in Fast Company available, “It’s Not about the Coach”. The best leaders may be the ones least noticed. A lot of what passes for leadership development in companies can be a waste of time. See if you recognize this process. Your company taps you as a future leader. It sends you to “leadership camp,” which can last anywhere from a day to a couple of weeks. You’re entertained by a parade of speakers (like me), and afterward you’re required to critique the speakers and rate how effective they were. If the company is particularly rigorous about gathering information, you may be asked to critique the hotel and the food. But nobody is critiquing you. Nobody is following up to see what you learned or if you have actually become a more effective leader. As a result, the people who may be learning (and changing) the most are the speakers, the hotel staff members, and the cooks. This is an odd thing that points out a huge fallacy about the process of helping people change for the better. We focus too much on the salesperson rather than the customer. We focus on the speaker rather than the learner. We focus on the coach rather than the person being coached. We focus too much on the leader rather than the people doing the work. It’s certainly true in my coaching. Of the great clients I have had the privilege to work with, Hal may be my star pupil. His coworkers judged him to have improved more than anyone I’ve worked with. Hal managed a division of about 40,000 people in one of the world’s largest organizations. His CEO recognized that Hal was a great leader and wanted him to expand his role by providing more leadership in building synergy across divisions. The CEO asked me to work with him. Hal eagerly accepted this challenge and involved his team. Together, they established the most rigorous project-management process I’ve ever seen. Each person took responsibility for creating positive synergy. They regularly reported on their efforts in reaching out to colleagues across the company to build teamwork. They kept learning from all of their colleagues. They thanked people for ideas and suggestions and followed up to ensure effective implementation. This flies in the face of conventional wisdom about leadership. If you read the literature, you’ll see that much of it exaggerates — if not glamorizes — the leader’s contribution. The implication is that everything grows out of the leader. She’s responsible for improving you. She’s the one who guides you to the promised land. Take the leader out of the equation, and people will behave like lost children. That’s why I don’t hold myself up as “coach as expert.” I’m much more a “coach as facilitator.” Most of what my clients learn about themselves comes not from me but from their friends, their colleagues, and their family members. I just try to provide help when needed and assist them in not wandering too far off the course that they have chosen. For example, let’s say you want to do a better job of listening. It’s possible that a coach can explain to you how to be a better listener. The advice will probably be reasonably logical, supportable, and hard to dispute. But it will be generic. It’s much better to ask the most important people in your life, “Please give me some ideas on how I can do a better job of listening to you.” They can give you specific, concrete suggestions that relate to them — how they perceive you as a listener — not vague ideas that you can read in a book. They may not be experts on listening, but they actually know more about how to listen to them than anyone in the world. I cannot make the successful people I work with change. I don’t try. Too many people think that a coach — especially an accomplished one — will solve their problems. That’s like thinking that you’ll get in shape by hiring the world’s best trainer and not by working out yourself. Truly great leaders, like Hal, recognize how silly it is to think it’s about the coach. Long-term success is created by the 40,000 people doing the work — not just the one person who has the privilege of being at the top. 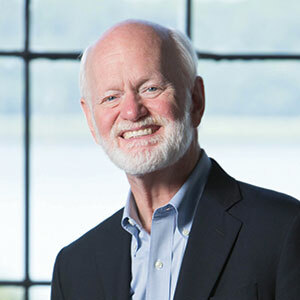 Marshall Goldsmith (www.marshallgoldsmith.com ) is corporate America’s preeminent executive coach and founder of Marshall Goldsmith Partners. Copyright © 2004 Gruner + Jahr USA Publishing. All rights reserved.